This two bedroom duplex apartment is located within the City South development on City Road East. Set on the third (top) floor, the entrance level offers a spacious open plan living/dining room with large windows allowing plenty of natural light, the kitchen is open plan and has integrated appliances; there is also a great-sized double bedroom which has floor-to-ceiling windows, large storage cupboard and a three piece main bathroom. The upper level boasts a huge master bedroom with an ensuite shower room and mini walk-in wardrobe. The mezzanine level has high ceilings offering a bright and airy feel. The property also includes an allocated underground parking space. City South has well-maintained communal gardens and has an onsite concierge. The development is only a few minutes walk from Deansgate Metrolink and Deansgate Train Station. 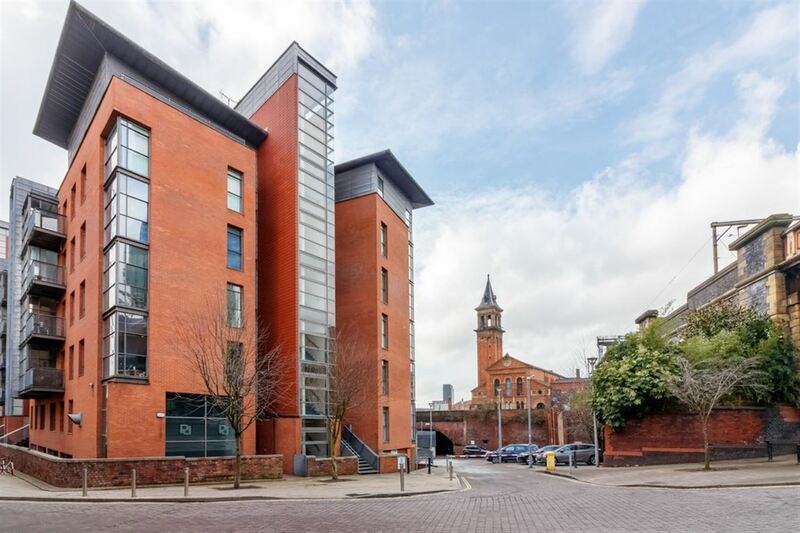 Oxford Road, St Peter\’s Square and Castlefield are only a short walk too putting you within reach of bars, shops, restaurants and transport links.